Size: approx. 15-25 mm. Photo: 08/14/12, 10 pm. 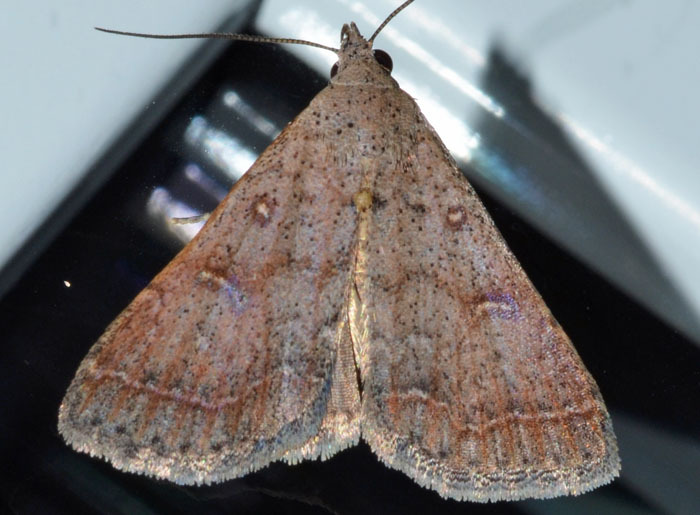 This litter moth is Bleptina caradrinalis. This species can be found throughout the US. Adults fly from June to August.